The European Payment Services Directive (PSD2) regulation requires Strong Customer Authentication (SCA) for all transactions over €30 by September 2019. This page will show you how to implement a compliant solution for your application using the Authy API. For more detail on PSD2, SCA, and dynamic linking, check out this post. The Authy API supports 3 channels for PSD2 compliant authorization. Use the action and action_message parameter to tie the verification to a specific transaction. 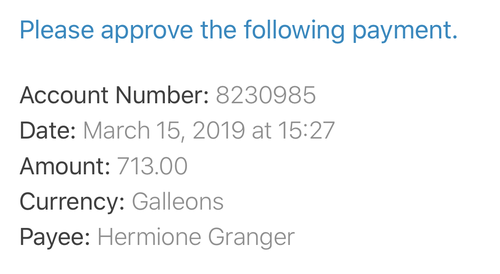 The same values are required to verify the token. Display transaction details in the Authy App. Each authorization is signed by the end user's device and linked to that specific transaction. 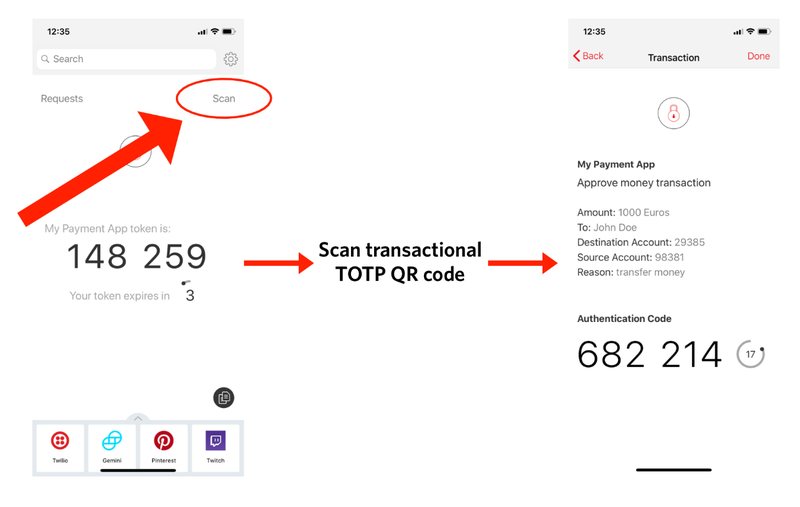 Offline support with transactional TOTP codes in the Authy app. Transaction details are mixed with the application secret to create a unique code tied to the transaction.